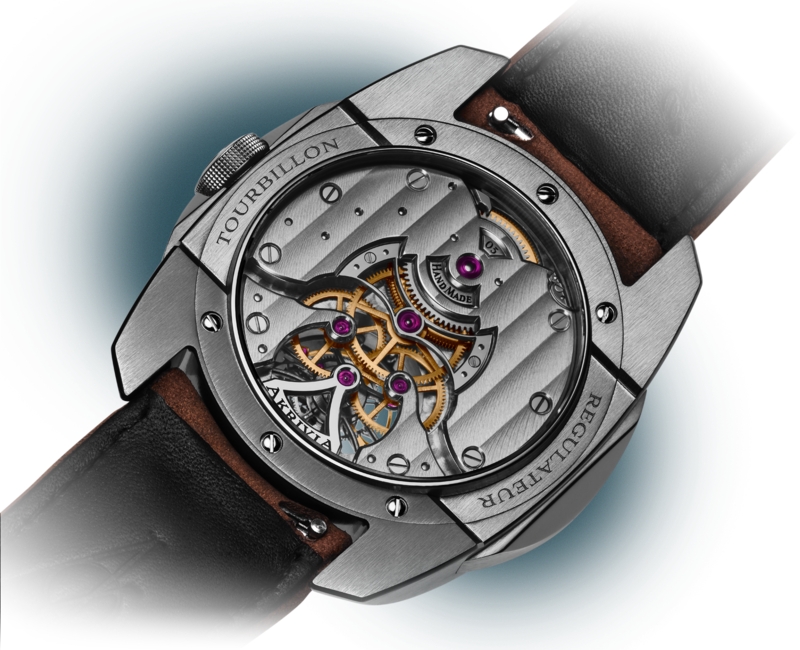 The implicit utility of the AkriviA signature tourbillon is made explicit for the first time in the Tourbillon Regulator AK-04. 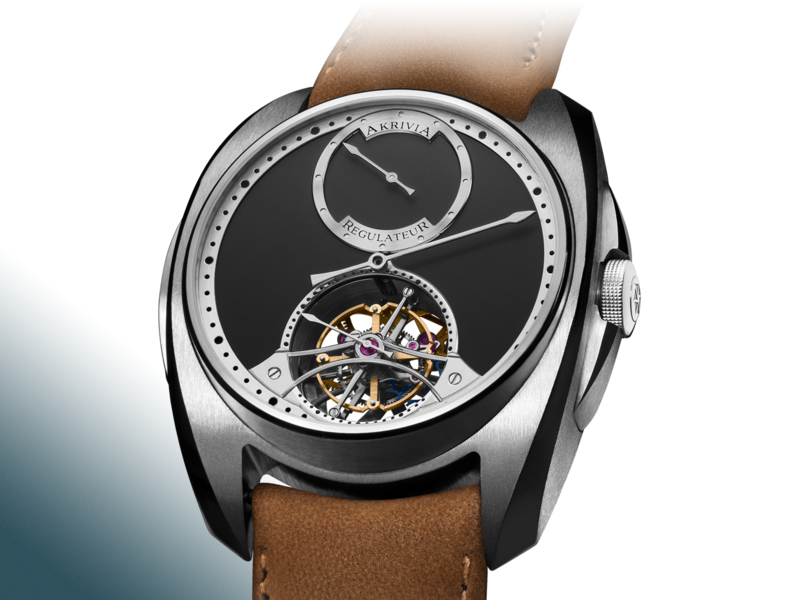 A blued seconds hand is mounted atop the one-minute tourbillon cage, minutes are indicated via a central hand and hours via a separate counter at the twelve o’clock position. Just as the AK-02 is the time-only variation of the AK-01 movement, the AK-04 is the time-only variation of the AK-03 movement. 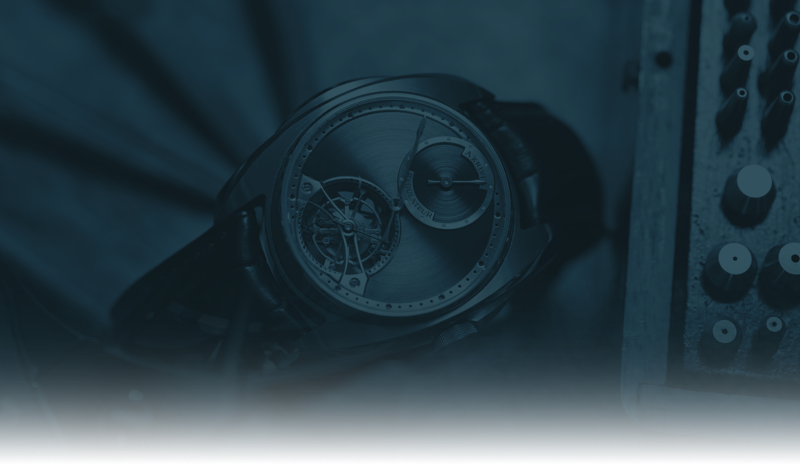 Historical regulator timepieces were deliberately built without complications, because their entire mechanism and power reserve were solely for the purpose of precision timekeeping. They had separate axes for all indications in order to promote readability. 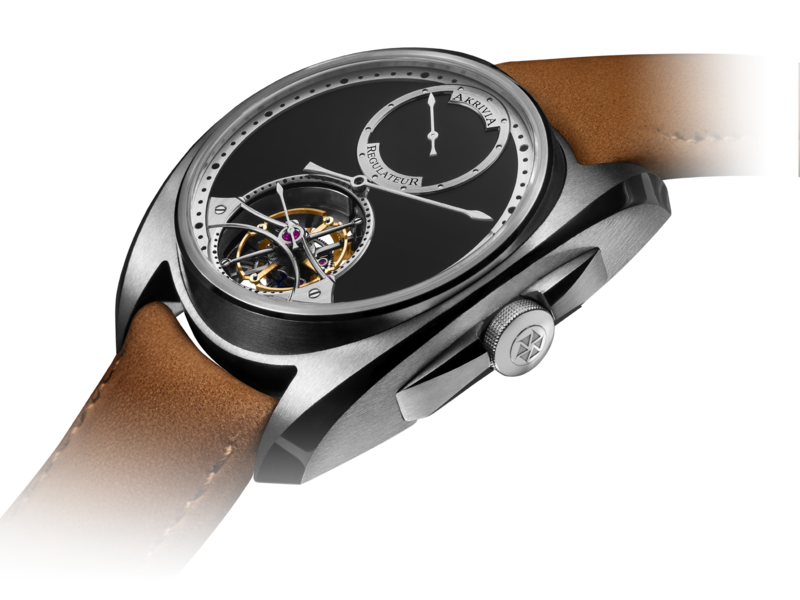 These are the elements expressed in the Tourbillon Regulator AK-04 by AkriviA.